Weaning and the transition to the early nursery stage are the most challenging times for piglets. Minimizing stress during those first few weeks away from the sow will improve a piglet’s odds of staying healthy. 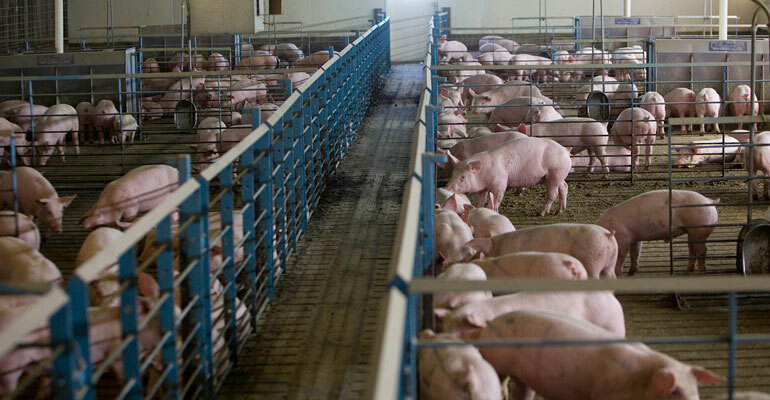 Management factors including longer fill times and having pigs of varying age and disease status in the same barn or site make it more difficult to maintain healthy pigs from farrow to finish. 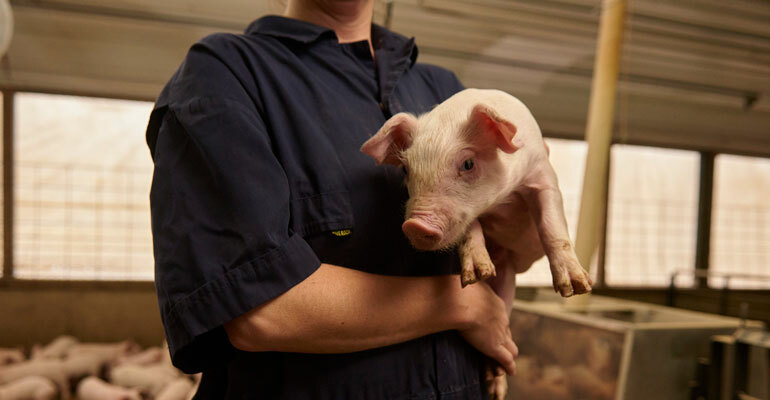 But staying focused on key animal husbandry basics and being proactive in the nursery are good ways to minimize threats to overall animal welfare, says Carissa Odland, director of Animal Welfare for sow management company Pipestone System. Animal welfare involves more than how animals are treated or handled. It includes their health, environment and the biosecurity measures taken to prevent disease. 1. Minimize stress at transport. Moving piglets from farrowing barn to nursery is usually the most challenging in extremely cold conditions. “You want to keep them warm, without overcrowding them,” says Odland. Having enough bedding is important, and minimizing drafts at the pigs’ level will help to achieve that. 2. Create an ideal environment. “Make sure the nursery barn is at a comfortable temperature when pigs arrive and that slats are warm,” Odland continues. The target pen temperature should be in the 82–85 degrees F range for the first week and, once pigs are eating well, reduced 2–4 degrees F per week. Adequate ventilation is also important. 4. Prevent disease. Follow strict biosecurity protocols to prevent the introduction of disease into the barn, including shower in/out procedures, disinfecting incoming supplies, and washing/disinfecting trucks. Walk around pens three to five times a day. It not only helps encourage pig movement and eating, but also allows you to look for pigs showing signs of sickness. 6. Use frequent training. Work with employees on a regular basis to go over procedures, and remind them of the need for vigilance in scouting pens. Your veterinarian is another good source for training employees in disease identification and prevention, as well as biosecurity issues. The National Pork Board also offers a wide variety of training materials and resources, notes Odland. Another valuable tool is SwineResource.com, a first-of-its-kind comprehensive library of research-driven swine health information. Visit it at www.swineresource.com. ©2018 Boehringer Ingelheim Vetmedica, Inc.